We are running for SGA President and Vice President. 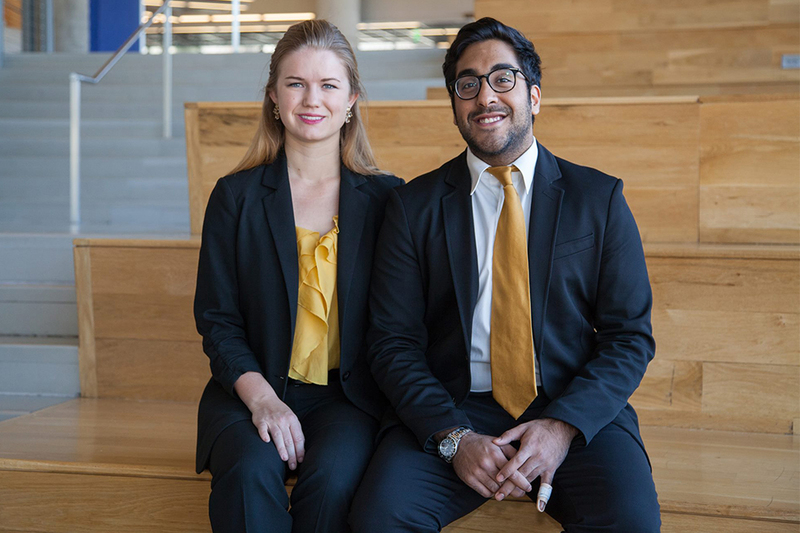 We have both served on the executive and legislative branches of SGA, and we are very excited to be running!To break down our initiatives and plans, we want to start within the classroom. We are looking to create a clear set of expectations between faculty and students (via a Student Bill of Rights) as well as leveraging faculty grants with in-class performance (from the student perspective). We plan on moving CIOS to earlier in the semester and rewarding teachers who are performing highly. This is to move us away from a student versus teacher outlook to a student with teacher. We plan to greatly improve communication within the student body by facilitating changes to current sites like Jacket Pages and Career Buzz via student input so that these sites serve their intended function. We will find unique ways to communicate with the student body with initiatives like text notifications from T-Square. In addition, we want to make sure SGA is actively involved in student organizations. We want to bring SGA to the students instead of making students come to us. So why have we chosen to focus on efforts within the classroom and effective communication? The answer is simple. We want to create a more positive environment at Tech. We want to see people smile. By assisting teachers in making the classroom a place for the pursuit of knowledge and linking students to organizations they are interested in, we can change the culture at Tech. Tech is not perfect, and we’re the first ones to admit it. If it were perfect, we wouldn’t run. Tech needs leaders who can challenge the status quo—leaders who can turn Tech into a place where we are enjoying every moment instead of waiting to “get out.” We have the experience and the vision, and most importantly, we believe in Tech. Vote Missy and Zain 2015!